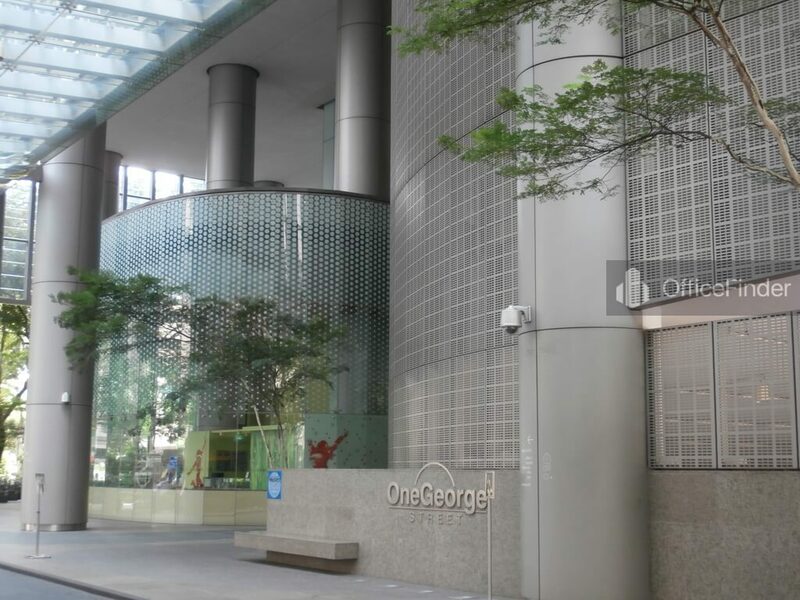 One George Street is a Grade A modern office building located within the Raffles Place Financial Hub of Singapore CBD. The building is situated at the site of former Pidemco Centre of 1 George Street. One George Street has a total floor count of 23-storey with a world class design. 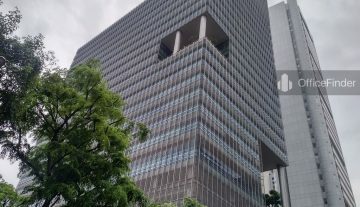 The building is featured with a glass walls used for its 18-metre high lobby area allowing the park’s greenery of Hong Lim Park to be seen. Sky-garden, 25-metre infinity edge pool, gym and a jogging track can be found on the 5th floor offering work-life balance for its occupants. There are 3 other private sky gardens on the 12th, 15th and 22nd storeys of the building. This premium office building offers large floor plate office space of 30,000 square feet which attracted many MNC tenants and providing them great flexibility in design and layout planning. 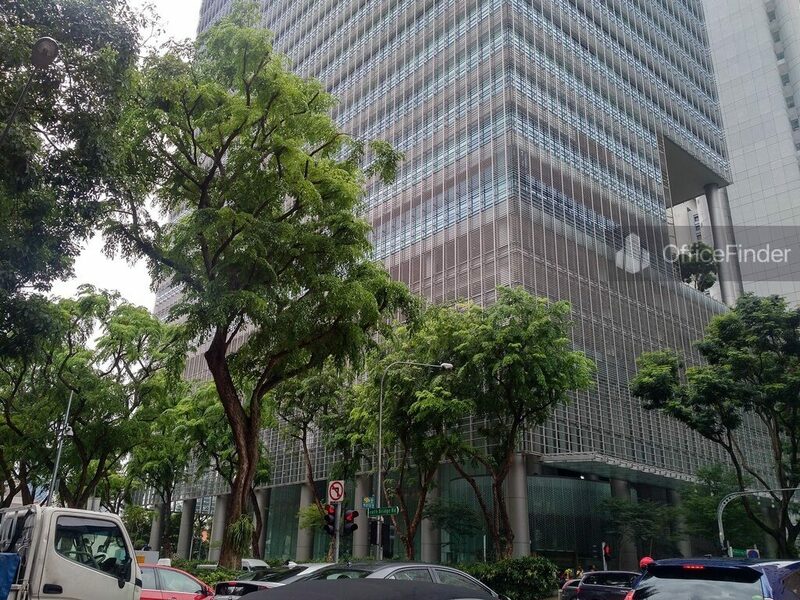 The building is overlooking the Hong Lim Park offering it office tenants on the lower level with great greenery view. In the other hand, tenants on the higher level will enjoy unobstructed panoramic view of Singapore city skyline. 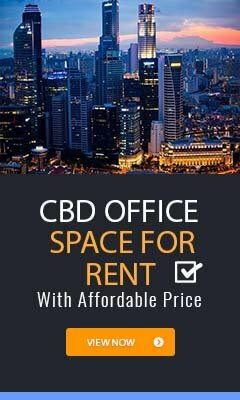 Grade A office spaces for rent at One George Street are highly sought after by businesses that require upmarket office and prestigious corporate location in Singapore CBD. 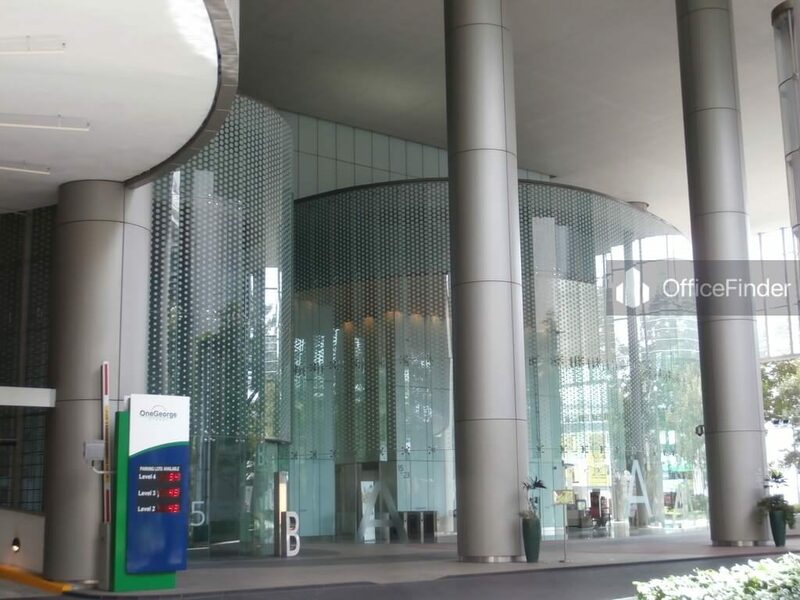 One George Street is conveniently accessible via the Raffles Place and Clark quay MRT stations together with various bus-stops around the buildings. Other MRT Stations nearby include Chinatown MRT station and Telok Ayer MRT station. One George Street is situated in a convenient location, close to a wide array of amenities. These include specialist business support services, fitness centre, business hotels with facilities, serviced apartment, banks, childcare, pre-school centres, food centres, and eateries together with a wide selection of retail and dining options. 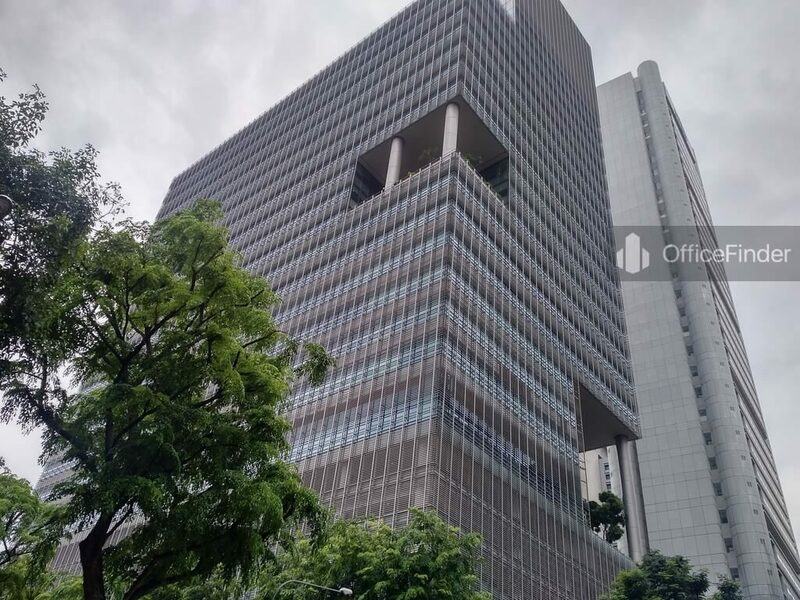 Some of Other office buildings close to One George Street include OCBC Centre, One Raffles Place, Far East Square, China Square Central, Chevron House, Maybank Tower, Bank of China, The Arcade, 20 Collyer Quay, 16 Collyer Quay, Republic Plaza and Ocean Financial Centre. For enquiry on office space for lease at One George Street, please leave a message using the Enquiry Form.